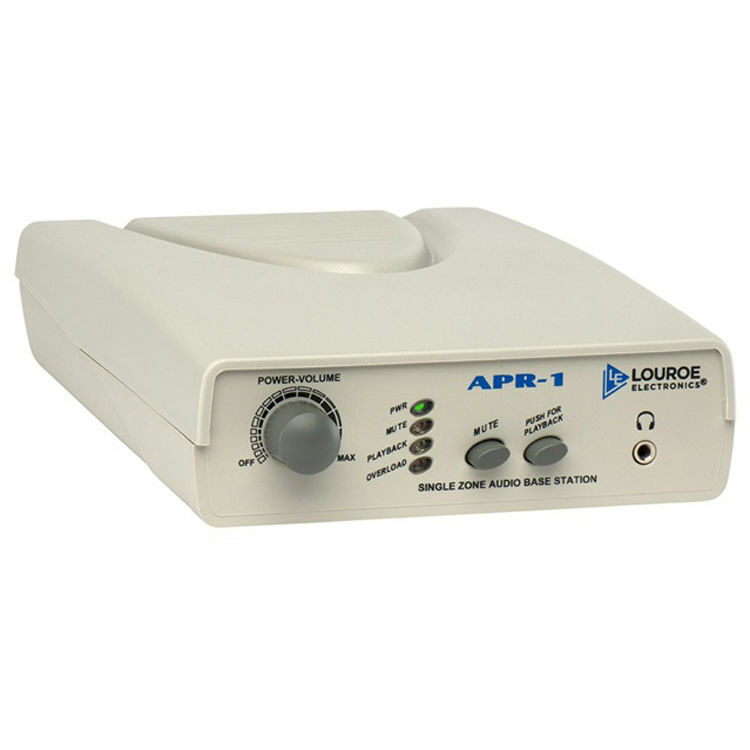 The APR-1 Audio Monitoring Base Station from Louroe Electronics is a single zone non-alarming audio base station. The device features a 3" built-in speaker, providing one-way live audio when used with a Louroe microphone (available separately). Input and output jacks allow you to connect the base station to a DVR/VCR for recording and audio playback. Furthermore, the APR-1 uses a filtering function to enhance audio playback from a 24-hour time lapse recorder. Other features include adjustable volume control and a 1/8" headphone jack. The APR-1 is compatible with all Louroe microphones (models A, B, C, D, E, K and L-DT). Box Dimensions (LxWxH) 11.9 x 8.4 x 5.6"